Prince Harry, fifth in line to the British throne, is set to marry American actress Meghan Markle, Buckingham Palace confirmed on Monday, ending months of intense rumours and discreet courtship. It was announced that the two were engaged earlier this month in London and will tie the knot in spring 2018, according to a statement released by Prince Charles. “Prince Harry has informed the Queen and other close members of The Royal Family,” the statement read. 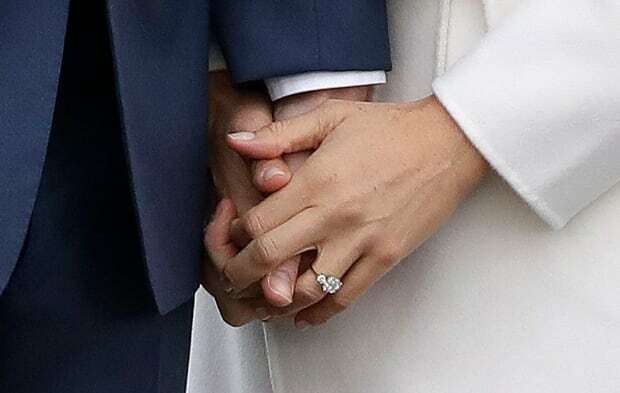 The couple appeared before photographers on the grounds of Kensington Palace in London after their engagement was announced. She showed off a dazzling three-stone ring, designed by Harry himself. At its centre is a diamond from Botswana, which his office said was a place special to the couple. The main stone is flanked by two diamonds taken from the personal collection of Harry’s late mother Princess Diana. “Our daughter has always been a kind and loving person. To see her union with Harry, who shares the same qualities, is a source of great joy for us as parents,” the statement said. Meghan Markle was raised in the Los Angeles area. Her father is a TV lighting director for soaps and sitcoms, her mother a yoga instructor and psychotherapist. She has had various acting roles, but is also known for her humanitarian work, serving as a United Nations women’s advocate and representing World Vision. Markle was living in Toronto in recent years for filming of the USA Network legal drama Suits. She was cast in the role of Rachel Zane in 2011, but the latest TV season wrapped last month with no word on whether she’ll continue with the show. She was born in Los Angeles on Aug. 4, 1981. to a father of Irish descent and an African-American mother. Markle attended a private elementary school in Los Angeles and later a private, all-girls Catholic high school in the Hollywood Hills. She married film producer Trevor Engelson in September 2011 in Jamaica. They divorced in August 2013. A short statement from Prince William and his wife Catherine expressed their excitement. Harry and Markle, who is divorced, met in July 2016 in London “through friends,” Markle told Vanity Fair in September. In that interview, Markle made it clear the world’s attention on her romance did not faze her. She also told the magazine that the two were “in love.” The frank and open statement about a royal relationship was seen as a break with tradition. But their relationship was not always that public. They long chose to keep the details of their relationship mum to the press and the public, despite intense and often intrusive speculation from the U.K. tabloids. “I sometimes still feel I am living in a goldfish bowl, but I now manage it better,” Harry said in an interview with a U.S. magazine Newsweek published in June 2017. “But I am determined to have a relatively normal life, and if I am lucky enough to have children, they can have one, too,” he said. Though the couple have been photographed together from afar in the past, they were not publicly seen together for the first time until they attended the Invictus Games in Toronto in September 2017. Markle, 36, is best known for her role on the Toronto-filmed legal drama Suits and has appeared in smaller film roles that include Horrible Bosses and Remember Me. She made her first TV appearance in a 2002 episode of the medical daytime drama General Hospital. Outside of acting, Markle founded a lifestyle blog called TheTig.com — which closed down in April without explanation — and has lent her celebrity status to humanitarian causes. She has campaigned with the United Nations on gender equality, written in Time magazine about girls’ education and the stigma surrounding menstruation, and has travelled to Rwanda as global ambassador for the charity World Vision Canada. She has described how her mother took her to the slums of Jamaica to witness poverty first-hand, saying experiences like that shaped her social consciousness and charity work. To some degree that mirrors the experience of Harry, who was also inspired by his mother’s humanitarian work and embraced the types of charities Diana favoured in the final years of her life before her 1997 death in a Paris car crash. Harry, 33, whose full name is Henry Charles Albert David, chose a military career and founded the Invictus Games, a multi-sport event for wounded, injured or sick service personnel and veterans. He is fifth in line to the throne, behind his father Prince Charles, older brother Prince William and William’s children, George and Charlotte. Dickie Arbiter, former press officer for the Queen, speculated the wedding could take place around mid-April when the Queen and Prince Philip, the Duke of Edinburgh, are both at Windsor Castle. 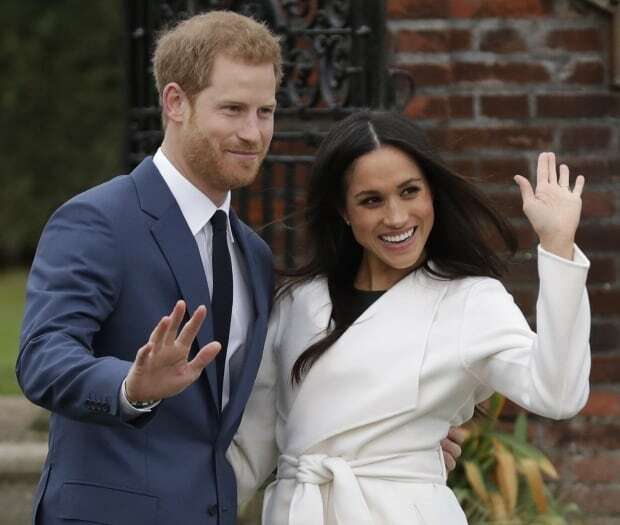 He said it’s possible the wedding could take place at Windsor Castle’s St. George’s Chapel, which could easily accommodate 1,000 guests and where Prince Charles and Camilla attended a dedication and prayer service after exchanging vows at a civil ceremony at Windsor Guildhall in 2005. “Anything bigger would be very expensive and would not be looked upon too well, particularly at this time when we’re going through pretty tough economic times as well as negotiating Brexit,” he told CBC News. The couple will live in London at the prince’s current two-bedroom residence, Nottingham Cottage, on the grounds of Kensington Palace.